The terms and conditions and purchase order are binding provisions and summarizes the business relationship, conditions, rules, rights and obligations between you as the purchasing customer (herein after customer) and the operator of the wine club of Kosor (herein after IWCoK or seller). IWCoK is operated by Mrs. Michaela Silinová, Štěrková 276, 252 26 Kosoř, ICO 71590781 The customer confirms by making an order that the trading conditions for the supply of goods as outlined by seller in the terms and conditions are acceted. The condition for the fulfillment of the order is to complete the order form on the website, ordering by email or personal agreement. To order IWCoK requires only the information necessary for reliable delivery (name of consignee and or Company name, address, mobile phone # and email). The buyer may make an order directly through the website. Following the sending via email of an order confirmation as proof of receipt of the purchase order, all purchase orders are deemed bimding by all legal standards. IWCoK reserves the right to deliver all orders via thier elected carrier unless the buyer arranges with IWCoK other means of delivery or personal collection. The delivery of orders via the selected carrier takes place only on weekdays between the hours of 09:00 and 17:00. Delevery outside of these times may result in additional delivery charges. Only persons over the age of 18 years may buy alcohol and otherwise participate in the club. Likewise only those over 18 may accept receipt for shipments containing alcoholic beverages. By ordering, the buyer confirms that he / she and the recipient are all over 18 years old. If IWCoK has doubts about the age of the recipient of the order, it will be required to provide proof of age. If the buyer does not respond to this request, it will be regarded as a failure to establish the terms and conditions and the order will be canceled. The price of goods quoted on the website are always valid and binding at the time of placing the order. The cost of goods and any costs associated delvery fees concluded in the purchase order can be paid in the following ways: 1) in cash at the time of personal delivery as agreed by the seller and buyer and 2) bank transfer. All prices quoted on the website are inclusive of VAT. Seller is not liable to VAT. The membership price includes cost of the agreed delivery method as stated in the website pricelist at time of order. If membership is not terminated by the conditions outlined in section VII Cancellation of Membership, the seller may require payment of the full purchase price. IWCoK is entitled to require payment of the full purchase price before delivery the goods to the buyer. The delivery method is made by agreement between the parties. The buyer can agree with the seller that the goods will be delivered by personal handover or passed to a 3rd party transport provider. The seller must deliver the goods at the place designated by the buyer in the purchase order and the buyer is obliged to accept the goods on delivery. If the seller must make multiple delivery attempts in order to delivery the goods, the buyer is obliged to cover any re-delivery or special delivery condition costs. The buyer is obliged to check the goods on delivery and in case of any defects or damages immediately notify the carrier. Claims made after this time may be disregarded. IWCoK is responsible that the goods sold are in compliance with the order. In the event of a claim, IWCoK reserves the right to substitute damaged elements of an order with other items based on availability. Every effeort will be made to replace damged orders with the same or similar wine of an equal value. If the buyer finds that a wine to be defective (corked, etc ..), contact IWCoK the seller, through which suppliers provide replacement bottle. If the purchaser concludes that wine in the box received does not match the purchase order, contact the seller. The rights of the buyer relating to IWCoK’s liability for defects can be claimed via the following email address michaela@iwcok.cz. 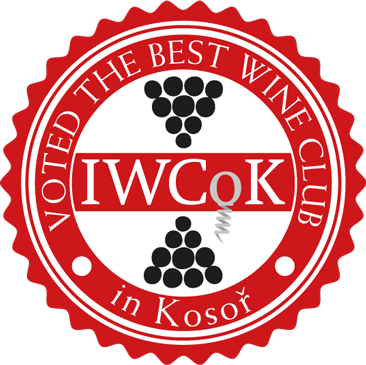 Membership in the club IWCoK is not binding and can be canceled or paused at any time. In all cases, the buyer must inform the seller one month in advance in writing or by telephone. Buyer acknowledges that Seller shall not be liable for errors arising from the interference of third parties to the website or through the use of website contrary to their purpose. Privacy of the purchaser who is a private person is provided by Act no. 101/2000, on personal data protection. Buyer agrees to the processing of their personal data: name, delivery address, telephone number, email address, identification number and tax identification number (hereinafter collectively referred to as “personal data”). Buyer agrees to the processing of their personal data by the seller for the purpose of realization of the obligations of membership and for the purposes of sending commercial messages and information the seller. Buyer acknowledges thier responsibility to correctly provide their personal information at time of registration and to inform the seller or any changes relating to their membership. To process the personal data by the buyer, the seller may appoint a third party processor. Personal data of the Buyer shall not without the prior consent of the buyer disclosed to third parties except for the delivery company transporting the goods. Personal data shall be processed for an indefinite period, either electronically or in paper form. Buyer acknowledges that the personal information is accurate and that he / she was advised to voluntarily provide personal information. In the event that the buyer suspects the seller or processor of personal data contrary of infringement to the protection of privacy or personal life of the purchaser or against the law articularly when personal data is inaccurate, the b uyer may ask the seller for an explanation or require the seller to remove this information. Buyer agrees to receive information related to goods, services, and e-mail addresses as well as commercial communications from the seller to the buyer’s email address. Contractual relationship is governed by Czech law by Act no. 89/2012 Coll. Of the Civil Code, without prejudice to the rights of consumers resulting from generally binding legal regulations. Sales activities of the seller is granted a trade license (živnostenského oprávnění) and the activity is not subject to any other permits. In the event that any provision of the Terms and Conditions becomes invalid, the provision whose meaning is invalid will be replaced by the provision as close as possible to the same meaning. The invalidity of one provision is without prejudice to the other provisions.